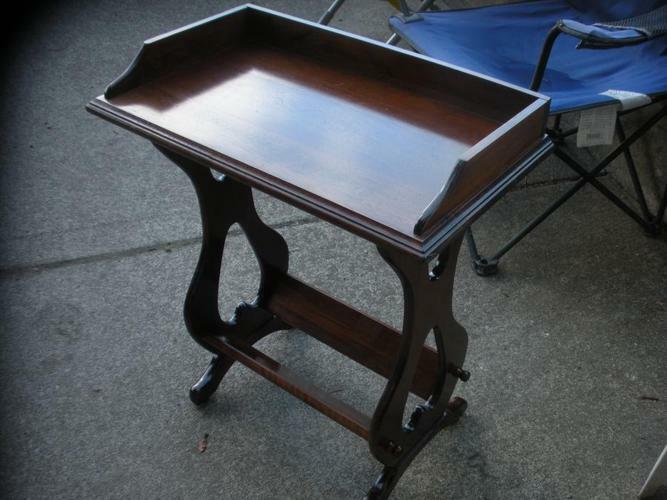 Solid wood sofa table in perfect condition. Measures 34" x 19" x 30" high. Will sell for $75. Parksville 250-248-8907.